The cover story in this month’s Bench and Bar of Minnesota is proof positive that the Housing Court Project in Hennepin County is preventing homelessness and family instability on a regular basis. The article, authored by Mid-Minnesota Legal Aid’s Luke Grundman, along with project colleagues Muria Kruger of Volunteer Lawyers Network and Tom Tinkham former Dorsey and Whitney trial partner, describes the project and a recent study examining its effectiveness. 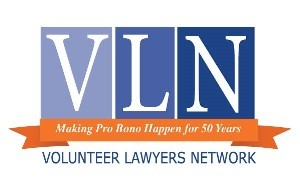 For the past 18 years, Mid-Minnesota Legal Aid (MMLA) and Volunteer Lawyers Network (VLN) have maintained a legal clinic at the Hennepin County Courthouse offering eviction advice and full representation, as well as help negotiating settlements and preparing expungement petitions. Recently, the city of Minneapolis, Hennepin County, and the Pohlad Family Foundation have provided significant financial support to bolster this vital court project. The clinic is staffed by 11 attorneys from MMLA, and in 2017 alone, nearly 150 volunteer attorneys from VLN provided 1,400 hours of legal service. The study on the project’s impact compared results for tenants who were unrepresented to those who received limited advice or help and then to those who received full representation. Eleven random court calendar days were selected for review. Results demonstrated that those represented in eviction proceedings have better outcomes and those fully represented have even more positive outcomes. Read more in Bench and Bar of Minnesota.